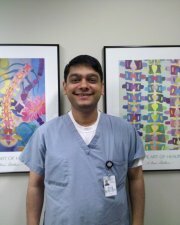 I am a 58 year old anesthesiologist who has suffered from lower back pain for over 20 years. I have tried many therapies in the past including massage, acupuncture, physical therapy, and most recently two epidural steroid injections. An MRI revealed severely degenerative L5-S1 disc disease and I was recommended to undergo spinal fusion surgery by three neurosurgeons. I have always been active and exercise regularly, however despite my efforts my pain continued to progress.My pain had advanced to the point of making it difficult to sleep through the night and in the morning it was a strain to bend over to tie my shoes. Getting through a day at work was becoming increasingly difficult. In desperation and with a great degree of skepticism I decided to look into spinal decompression therapy and made an appointment for a consultation with Dr. Jonathan Donath. I was extremely impressed with his professionalism, thoroughness, and confidence that he would be able to help me with my back problems. I immediately began his intensive program including decompression, nutrition, and slowly incorporated an exercise program. Through these treatments I gradually noticed a significant decrease in my pain and improving range of motion in my back. I presently sleep through the night pain free, am comfortable at work, and have resumed playing golf without problems. At the present time I have a low level of discomfort and stiffness in my back, but I am more confident than ever that I will eventually be pain free. All of this was done without missing a day of work or undergoing a major surgical procedure. Dr. Donath has not only made a major improvement in my back pain, but he has become a true friend and colleague. It is my privilege to write this testimonial to his care, and I would strongly urge others suffering from back pain to see Dr. Donath. As a board-certified internist who has been in practice for over 13 years, I spend much of my time attempting to alleviate the pain and suffering of my patients. As a clinician, one of the biggest challenges I face is helping my patients deal with musculoskeletal and neuropathic pain syndromes-those all-too-common, yet frequently debilitating ailments caused by bad backs, pinched nerves, arthritis, and the like. Unfortunately, much of what I have to offer my patients boils down to the following: take a pain pill, stretch if you can, wait, and hope for the best. After a failed trial of “conservative” therapy a call might go out to the orthopedic surgeon for assistance; a truly satisfactory result is not common. The simple fact is that physicians are not well trained to deal with musculoskeletal pain, and patients can suffer as a result. Thankfully, my views on this topic have been turned completely upside down since I have personally discovered Dr. Jonathan Donath’s outstanding practice. After beginning a vigorous exercise regimen I started to experience awful neck and upper back pain, accompanied by numbness and tingling down my left arm and fingers. For weeks I tried to nurse the pain with non steroidal anti-inflammatory medication, but the pain persisted and got to the point that I was almost unable to work, sleep, or most importantly, play guitar. I was literally in tears from the excruciating pain. A neurosurgeon diagnosed a herniated disc and pinched nerve in my neck and offered to decompress it with an operation. In desperation I called Dr. Donath instead. My visit to Dr. Donath’s office was an outstanding experience. He spent about an hour with me and combined multiple modalities to fix the herniated disc in my neck: deep massage, active release techniques, traditional manipulation, cold therapy, and finally spinal decompression. After that first hour with Dr. Donath my pain had decreased from a 10/10 down to a manageable 4/10, and I was able to comfortably move my head and neck. That very night I was able to play guitar again. Two days later I went back for another series of treatments and the pain decreased even further. After about five days the pain was absolutely gone. Unbelievable! Since then he has used the same wonderful techniques to help me overcome painful bouts of sciatica as well. My own patients and family members have become “believers” in Dr. Donath’s abilities as well— the results he achieves are real and lasting. He is my go to guy for the majority of musculoskeletal and neuropathic pain syndromes that I now realize are truly treatable. I had been experiencing lower back pain for at least 6-7 months before I had visited Dr. Donath’s office. Prior to this, I had tried doing stretches at home, taking some medications and getting acupuncture, but despite this, things did not improve. In fact, symptoms only progressed and became unbearable. It was so difficult to get out of bed in the morning, work my 12 hour shifts as a physician in Urgent Care and do my daily work outs, which I enjoyed so much. My colleague at work, who is also a physician and patient of Dr. Donath, recommended I see him and I was so glad I did. On my first visit, he patiently listened to my story and examined me carefully. He took his time to discuss possible diagnoses, sent me for an MRI that day, and saw me the next day to discuss results, and potential treatment plan. I listened to his advice and began spinal decompression, which was the best decision I have ever made. After a few visits, my pain started to subside and shortly I became pain-free. I currently still am in treatment doing exercises as per Dr. Donath’s advice, but I am so much better thanks to his care. Dr. Donath and his staff are knowledgeable and very professional. I am so grateful to them for getting me back to my normal life. I highly recommend him to anyone who is having back pain. Dr. Donath is amazing. As an internist, I have to decide between traditional western medicine and chiropractic care for my patients with back pain and other joint-related complaints. Dr. Donath’s thorough and comprehensive approach to care allows my patients to get relief faster and less invasively. The result is invariably positive. One of my patients said he got his life and golf game back after seeing Dr. Donath. Another said that he was able to get rid of a pain she had for over 5 years in just a few sessions. 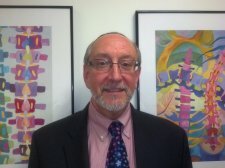 I can confirm his success first-hand: Dr. Donath relieved my chronic pain with multiple techniques: manipulation, spinal decompression, vitamins and supplements, exercise and stretching. His hands-on approach and love of his work is reflected by the excellent results he gets. I continue to send my friends, family and patients to Dr. Donath because I know he gets results. 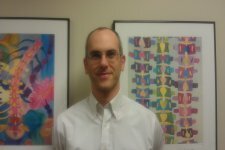 I am a pediatrician and in my work, I have to bend down a lot and I’m constantly lifting kids. I usually have one to three bad flare ups of low back pain every year. When my back would “go out”, I could barely walk to the bathroom and would have to lie down in bed for a few days. I have tried everything: doing nothing and “toughing it out”, muscle relaxants, physical therapy, chiropractic, therapeutic massage, and even painful steroid injections. Nothing worked. When I moved to Westchester, I met Dr. Jonathan Donath. 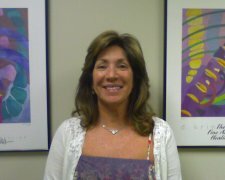 In just a couple of sessions with Dr. Donath, the pain completely disappeared. If it hadn’t happened to me, I wouldn’t have believed it. During my last flare up, I was expecting to be on my back for 2-3 days and in pain for 2 weeks. Instead, after one session with Dr. Donath, I was able to walk; two more sessions and I was fine. I could walk, bend down and I had almost no pain. Since that last back episode, Dr. Donath has helped me with my tendonitis in my right hand and with my chronic knee problems. 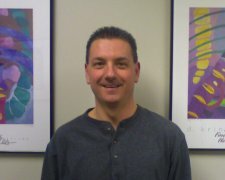 I recommend Dr. Donath to everyone with back, muscle or joint pain. Even if you have not had relief with other treatments and other Chiropractors, give Dr. Donath a chance. I did and he changed my life. After dealing with aching, burning neck and back pain related to daily use of computers, tablets, etc., my colleague, also an Urgent Care physician, suggested I see Dr. Donath. It was the best advice I could have taken. After a thorough medical history and physical exam, Dr. Donath, arrived at a diagnosis, explained how it occurred and how it causes pain, and then explained a course of treatment and why it would relieve pain. All the while, Dr. Donath was talking with me so that we could get to know each other; he also offered simple advice to contribute to pain relief. To my delight, but not surprise, after 8 visits over 3 weeks, my pain had resolved. I’m using the advice Dr. Donath gave me at my first consultation and every visit thereafter to help prevent the pain from returning. Furthermore, I offer the same advice to my patients and refer them to Dr. Donath, when they report symptoms similar to mine. I am so grateful to Dr. Donath and his staff for the wonderful care I received this past few months. I experienced a recurrence of a herniated disc in my back and could hardly walk or move. The thought of how much physical therapy I went through before I felt better the last time, and how quickly the pain recurred, made me very pessimistic. A friend had recommended spinal decompression therapy with Dr. Donath and originally I was quite skeptical. But, I thought it was worth a try. I did the treatments for a few months and my pain improved so much that I even have times I forget that I ever had pain! I am now able to exercise again as well as to do everything that I want to do. I also liked the warm atmosphere in the office. I would highly recommend Dr. Donath and this treatment. In my 8 years as a general surgeon in Africa, I have been thanked by many patients. I never really understood how valuable getting someone out of pain was until I became a patient myself. I had been experiencing terrible back pain and nothing helped. After treatment from Dr. Donath, I couldn’t believe how much better I felt. Above all, I was so impressed by the way that Dr. Donath took care of me and walked me through everything he was doing. I learned more from him in one hour than I had in a month of certain classes in medical school. Thank you Dr. Donath. I will definitely see you again. As a board certified family physician, I am very open to the idea of “complementary” medical therapies which may be beneficial to my patients, as an adjunct or alternative to traditional medicine. The challenge, I find, is developing relationships with providers in the area that I feel comfortable referring patients to when I am confident they might benefit from this care. Luckily, my own search for chiropractic care led me to Dr. Jonathan Donath. Not only has he been able to help me with a variety of issues, from migraine headaches to pregnancy related back pain to exercise related ailments, but he has proven to be a valuable resource to me as an urgent care physician. Doctors usually make the worst patients, and I am no exception. I usually call on Dr. Donath in some moment of desperation, when some ailment or injury is preventing me from keeping up with my busy life. In “short order” (usually one or two visits, because I rarely have more time than that!) he is able to get me some relief and break the cycle of discomfort, as well as provide me with tips or exercises to remedy the root of the problem. Some of the patients I refer to Dr. Donath are in need of this kind of specific targeted treatment for a painful condition–I know that based on my own experience, Dr. Donath will be able to give them some relief in one or two treatments which might ameliorate their need for other medications, as well as provide them with exercises and modification of activities to prevent the pain in the future. The other category of patient he has been able help are those who have a more chronic condition–those who have “tried everything” that conventional medicine can offer them, and still have pain or disability. I am happy to be able to provide those patients an option that they might not have explored yet. Additionally, it is nice to be able to assure these patients that I have personal experience with Dr. Donath and that he has helped me–he is not just another name on a piece of paper. I really don’t have words to express my feelings about the care I got in the last 3 months. I was almost handicapped, living with terrible pain all the time, crippling my day to day life. I am a medical doctor and work in a hospital with all sorts of amazing physicians, but after seeing a physical therapist, getting epidural steroids injections, many orthopedists and neurosurgeons, finally my destination lead me to see Dr Jonathan Donath. With great skepticism, I lied down for spinal decompression therapy. It was unbelievable that after only two initial sessions, my radiating pain down my leg had almost disappeared. Gradually, I started getting better, started doing exercises that they gave me midway through the treatment. Now, I am doing all my daily activities without any pain. I highly recommend Dr Jonathan and his colleague Dr Kavita for any problems related to the musculoskeletal system, you will definitely feel at home and will get better. In October of 2011, the mild lower back pain I had experienced for some time with every change in the weather became severe and debilitating. I could no longer stand up straight without severe pain. I could not sleep because every turn in bed caused enough pain to wake me up. Dr Donath had me undergo an MRI. The diagnosis: two bulging disks and one herniated disk with some spinal stenosis. He immediately set up a treatment plan, prescribing spinal decompression 3 times per week, decreasing to twice a week then to once a week. Over 3 months I felt increasing relief and recovered my ability to sleep without interruption and for the first time in over 25 years, I was pain-free. Dr. Donath gave me a series of exercises to strengthen the muscles supporting my lower back and core to ensure that I was more resistant to injury and remain pain free. It’s difficult to describe how grateful I am for Dr. Donath’s detailed treatment and rehabilitation regimen and for his careful monitoring of every stage of my treatment. He has returned me to an active life. I can lift my grandchildren and play with them without fear of pain. Kudos also to his staff, April and Dr R. who handled some of the “nuts and bolts of my treatment and to Midori, his receptionist who always found a way to fit me into the schedule. What an amazing group. Thank you all! I give thanks to the Almighty God for answering my prayers. It is he who made my cousin in NY find the article explaining about the Non-Surgical Spinal Decompression Treatment and paved the way for me to come from Jamaica to spend the past 3 months in NY to be treated by Dr. Donath and his caring team. Five years ago (February 2007), I experienced a fall from a chair which resulted in terrible lower back pains. I tried to get healing in the following ways: Three sets of x-rays done to identify the injury, visits to the orthopedic surgeon, visits to the pain specialist, sessions on the special bed to align my back, twenty (20) sessions of physiotherapy in 2011, ingesting dozens of prescribed and over the counter pain tablets (various types), use of various pain ointments, & use of heating pads. At best, I got some temporary relief. In October 2011, the condition began to deteriorate. In January 2012, I had to employ the use of a cane while having difficulty to climb stairs, kneel and get up from kneeling. In February to March 2012, the pains became worse as the pain tablets, ointments and heating pads were of little effect. I experienced sleepless nights, excruciating pains that literally made me wail in agony, and extreme difficulty in moving between the bedroom and the bathroom. My whole life was now altered. I was not willing to get the surgery done on my back. My family members prayed to God Almighty to provide deliverance to help me in my distress. It was during this time that my cousin read an article on the spinal decompression treatment and told me about Dr. Donath. The MRI he sent me for showed that I was severely injured with herniated discs in my lumbar region. He and his team of Dr. Kavita, April, and Midori displayed such care, concern, patience and love. From the very beginning I was addressed by my first name and didn’t feel like a number like I had gotten used to feeling at other doctors offices. A warm smile and greeting welcomed me each visit to the clinic. Dr. Donath is a gift from God with a passion to care for others. He treats you as an individual. He knows exactly where to locate stubborn pains and how to deal with them with his powerful pair of hands and amazing machines. His positive attitude strengthens your faith to get well. The pains in my back are now gone and those in my right leg have minimized to a scale of 2 out of 10 and getting better. I have again started to sleep and dream. I can again kneel to pray and my singing, smiles and laughter are back. I am happy. May God continue to bless Dr. Donath and his lovely team of caregivers. Barbara E. M. Jamaica W.I. For many months I had lower back pain, which caused excruciating pain down my entire right leg. An MRI showed that I had a herniated disc on my lumbar L4-L5. In order to alleviate the pain, I went to a spine specialist, did acupuncture and tried PT. None of these treatments worked. Dr. Donath was highly recommended and after several spinal decompression treatments, I finally felt some relief. I am now symptom free and am able to go back to my normal routine of working, exercise and stretching. Plus the entire staff are so supportive and go out of their way to be helpful. I am thankful to each and every one of them. In addition I have already made referrals to Dr. Donath for spinal decompression therapy. For about a year with back pain, I had tried everything my general doctor and back doctor would recommend, stretching and strengthening exercises, steroids pills, injections, support belt, etc., but nothing worked. The pain was still there. I had stopped exercising, started gaining weight and I was almost losing hope. I then decided to try Dr. Donath’s spinal decompression, even though I was suspicious of procedures generalists ignored. Dr. Donath was an amazing motivating force behind the stretching, strengthening exercises and support belt which he redirected, but added the all important spinal decompression. I very quickly saw results, and for the first time knew I was on the right path. Dr. Donath’s care for my problems, level of attention and patience following through on my progress was amazing. Within 3 short months, my pain had totally disappeared. I highly recommend him. I am a 36 year old male who has had on and off back problems for at least 15 years. Until recently the pain was manageable. Then towards the end of 2007 I had severe pain in my back.The pain was so intense that I had to be rushed to the hospital. I was told I had a herniated disk in my back that caused the pain. My back did get better but in three months the pain was back and even the treatments I did that used to get my back better did not work. I was told I needed an operation. I heard about spinal decompression and looked it up. I found Dr. Donath’s number and scheduled and appointment. During my visit, Dr. Donath explained my condition in great detail and instructed me on how his treatment would get me healthy. I noticed improvement after each treatment and about 2/3 into treatment I was virtually pain free. Now that I am done with the treatments I am back to normal. 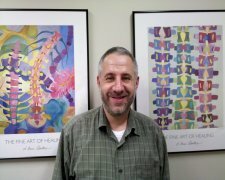 I would strongly suggest to anyone that has neck or back pain to look into seeing Dr. Donath. Especially those people who are told to have an operation. Dr. Donath’s decompression treatment along with exercise schedule made me better and I believe he can do the same for you as well. I have suffered from pain in my lumbar area for many years. The pain had increased to an unbearable level. After an MRI, I discovered I had degenerative and herniated discs. I proceeded to have very painful spinal injections, which only temporarily relieved the symptoms. I had been reading about the spinal decompression technique and decided to give it a try. Since April of this year I have been receiving the spinal decompression treatments from Dr. Donath. For the first time in over 30 years I do not suffer everyday of my life with back pain. The treatments are painless and relaxing. I recommend Spinal Decompression with Dr. Donath to anyone who has suffered from chronic back pain. For many years I have had lower back pain. Five years ago an MRI revealed spinal stenosis, a bulging disc and degenerative disc disease. I have done chiropractic, physiotherapy and acupuncture, all of which helped in varying degrees but the pain persisted to the point where I couldn’t stand for any length of time without feeling intense pain. I was referred to a neurosurgeon but after the consultation decided that neither surgery nor epidural injections would be an option. Research on the internet led me to Dr. Jonathan Donath and non-surgical spinal decompression. I met with Dr. Donath for what was an informative and extensive evaluation and decided on the therapy. After a few weeks of treatment, I have been pain free. What stands out in my mind is the warmth of the reception from Dr. Donath and his entire staff; their care and concern was exceptional. The treatment was pain free and relaxing. My experience was a good one and I now recommend Dr. Donath unreservedly to anyone I know with chronic back pain.